FUJIFILM Wako Chemicals U.S.A. Corporation is a wholly owned subsidiary of FUJIFILM Wako Pure Chemical Corporation of Japan. FUJIFILM Wako Pure Chemical Corporation, worldly renowned for its high purity chemicals, established Wako Chemicals USA, Inc. to expand its presence in the United States. The first US operations opened in 1981. The HTS Division was split from Wako USA and incorporated as Wako Automation USA, Inc., a California corporation. The LAL Division receives FDA approval for the production of PYROSTAR™ ES-F for specific determination of gram negative bacterial endotoxin. Wako USA purchase the building in Cape Charles, VA housing the LAL Division’s Horsehoe Crab Bleeding Facility. As part of a corporate reorganization, Wako Holdings USA, Inc. was formed. Three corporations were created under the holding company: Wako Chemicals USA, Inc. (Specialty Chemicals, Laboratory Chemicals and LAL Divisions), Wako Life Sciences, Inc. (formerly Wako USA’s Diagnostics Division) and Wako Automation USA, Inc. The LAL Division moved all operations from St. Louis, MO to Richmond, VA. FDA approval was received for the LAL production facility. Wako Chemicals USA entered into an asset purchase agreement with Kalypsys, Inc., whereby the group was renamed the HTS Division. The LAL Division obtains FDA approval for the production of LAL on new automated filling/stoppering and capping/labeling machines, a change from a one-step to a two-step lysing process, and batch volume increase from 10 liters to 14 liters at the Richmond, VA facility. Wako opens the new Horseshoe Crab Bleeding Facility for the LAL Division in Cape Charles, VA.
Construction completed for a new Specialty Chemicals' photographic intermediates production facility, the expansion of the warehouse, and the new lab building. The parent company, Wako Pure Chemical Industries, Ltd. Opens the Mountain View R&D Center (MVRDC) in Mountain View, CA to develop new items for the Diagnostics Division. The Diagnostics Division opens an office in Mountain View, CA located in the same facility as Wako Japan’s MVRDC. The Haemachem Division is renamed the LAL Division. The production plant was built and started manufacturing V-50 in 1990. Since then, Wako Chemicals USA has been supplying the V-50 initiator to superabsorbent polymer manufacturers not only in the USA, but also internationally. Before 1996, Wako's manufacturing sites for laboratory chemicals were only in Japan. Wako Chemicals USA expanded the plant operations to include laboratory chemicals, especially biochemical reagents. Electronic chemicals are one of product lines in Wako's specialty chemicals. Wako's ultra pure hydrogen peroxide, HIRINPER, is a cleaning solution used for the removal of contaminants and impurities from the surface of silicon wafers. Wako established a wholly owned subsidiary, Wako Chemicals GmbH, in Germany in 1974. Wako founded the second overseas subsidiary, Wako Chemicals USA, Inc., in 1981. Wako's three lines of products imported from Japan were marketed in North and South America through Wako Chemicals USA. As the demand for one of our specialty chemicals, the V-50 polymerization initiator, increased, Wako decided to build a manufacturing plant in the USA in order to strategically supply the V-50 initiator to our customers internationally. Wako selected Richmond, Virginia, as the site for the first US production plant. Wako Chemicals USA closed the Dallas office and relocated to Richmond in 1989. 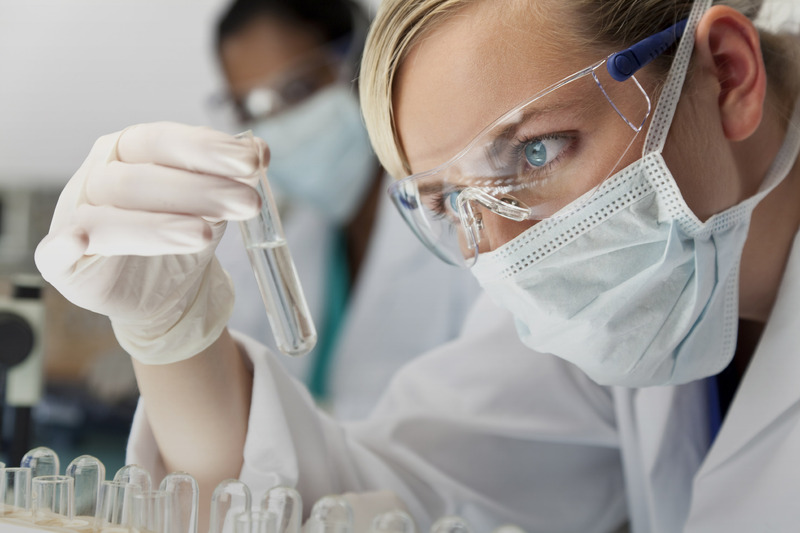 FUJIFILM Wako Laboratory Chemicals strives to provide new and unique laboratory reagents to scientists in all fields of study. Following nine decades of tradition, we supply high quality, high purity reagents for your life’s research. Industries including pharmaceutical, cosmetic and photography rely on Wako’s technical expertise. Our high standards for these chemicals create products that exceed industry standards to give you safe and precise results time after time. PYROSTAR™ ES-F, our formulation of Limulus Amebocyte Lysate, is unlike any other LAL product available in the market today. Our reagent is designed for the specific determination of gram negative bacterial endotoxins, without interference from the presence of beta glucans, and has the unique capability to be used in either quantitative turbidimetric (KTA) or qualitative gel-clot test methodologies. Shibayagi Co., Ltd. became a wholly-owned subsidiary of Wako Pure Chemical Industries, Ltd.
RICHMOND, 14th of October, 2016 - On January 15, 2016, Shibayagi Co., Ltd. transferred its stock to Wako Pure Chemical Industries, Ltd. (Wako) and became a wholly-owned subsidiary of Wako. We will keep growing in life science fields, especially in mental and nervous diseases related areas we focus. RICHMOND, 14th of January, 2015 - The Virginia Economic Development Partnership (VEDP) today announced the acceptance of two Richmond companies, sweetFrog Enterprises LLC and Wako Chemicals USA, Inc., into its two-year Virginia Leaders in Export Trade (VALET) program. Launched in January 2002, the program assists exporters in the Commonwealth that have firmly established domestic operations and are committed to international exporting as an expansion strategy. Participating firms are chosen based on their dedication to growth through export.